The Ellyn Satter Division of Responsibility (DOR) model accumulates the essence of feeding research and presents family meal dynamics with responsibility lines drawn in the sand. Ellyn Satter’s model is pervasive throughout feeding research and it is PRACTICAL for families to follow. The family meal model gets talked about constantly in our Parenting Picky Eaters facebook group. And I definitely find no fault in the model and highly recommend you read through Ellyn’s documentation too. Parents have the mealtime responsibility to provide the WHAT, WHERE and WHEN of meals. The children decide whether and how much. As easy as it is to write that sentence, it is not actually always that easy to implement. Parents provide the meal in the middle of the table and everyone helps themselves. This is especially difficult if you have been brought up (or are accustomed to) having meals with vastly different responsibilities outlined for family members. 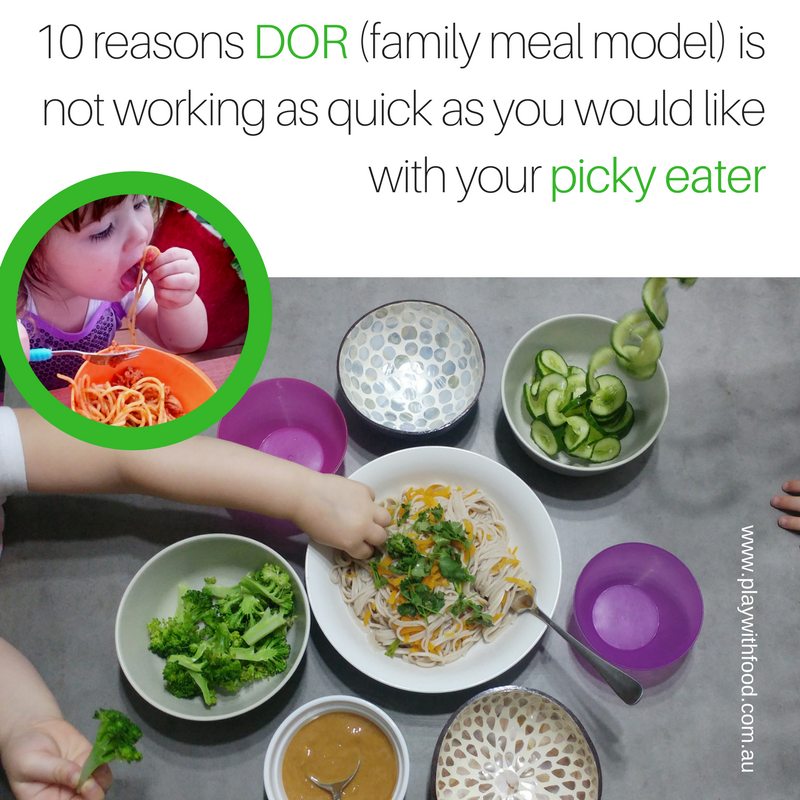 Jo is the co-admin of the parenting picky eaters facebook group with me and she has eloquently talked about why it can be so hard to implement DOR. I highly recommend reading this! Let’s say you are following this model and the results aren’t justifying the “effort” you have been putting in to making it work, I’ve put together a list of suggestions for you to consider. Make a mindset shift and commitment to thinking of it as “this is how we eat”. Keep going despite how hard it is. Get your partner and family on board. I know it is hard. I practice what I preach. I have been “doing” DOR for 4.5 years. Every morning. Every snack. Every dinner. It is so engrained in me. It is essentially how I know to feed my family. It actually hurts my brain to try and guess what my kids are going to eat and serve them a pre-loaded plate without anything in the middle of the table to choose from. If you are coming to DOR at each meal thinking it is work, then the meal will be taxing on you. 2) Why is your child picky? I always, always encourage parents to do a full root cause analysis into where picky eating issues started. 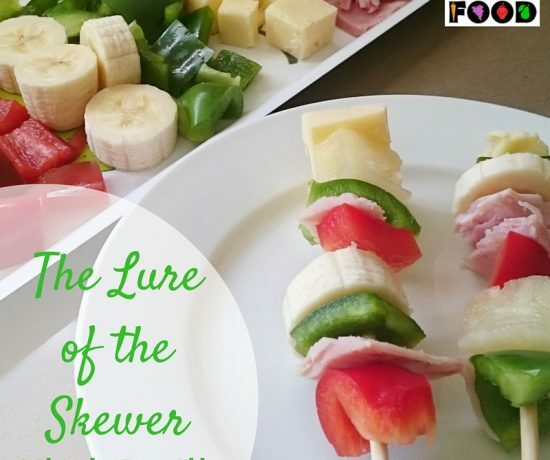 This will invariably impact the ways they learn and process new foods. Root causes for why a child initially starts dropping (or doesn’t pick-up) new foods includes a history of pain, sensory overwhelm, feeding routine reliability, anxiety, immature oral motor skills or gross motor development. This list is not exhaustive but may help you start to realise the complexities of eating that every child faces, let alone has to coordinate to “get right”. Not just your child’s but your own anxiety impacts the feeding environment. This may take lots and lots of practice but… play it cool. And if you are struggling – fake being cool until you can be cool! To help your anxiety and theirs, you need to balance your expectations. Eating is not pass/fail. It is a learning trajectory. In fact, in Dr Kay Toomey’s model, there are 32 steps to eating. Guess what the first step is? Being in the same room (ie. not even at the table). So if you are already having your child sit at a table with a food near to them, you are already leaping up those learning steps towards eating. Remember that the small steps are big steps for them. One sure fire way to make sure everyone is a little bit more chilled out is to have a safe option available on the table for them. I never recommend going cold-turkey on screens. Yet, moving towards zero screens at the table and avoiding immediately before meals is recommended. Screens impact a child’s arousal levels and make it so much harder for them to learn about what they are eating. This impacts our long-term goal of eating family meals. Sure, they can work as a distraction to get some food into your child, however, it’s a short-term game you’re playing. If they aren’t actively participating in eating, they are doing it on auto-pilot. Effectively a screen cancels out so much of your effort in providing DOR meals. But, going cold-turkey is not advised. So, bring in some visual scheduling, pre-meal routines and other strategies to help with the weaning process. I cover this in “Goodbye Picky Eating” in much more depth. (Plus, “screens” also means bringing your phone to the table and I know this is a hard habit to break too). Don’t be hard on yourself of you cant do DOR at every meal. In today’s busy paced world, trying to change everything about your meals and lifestyle around meals is not easy or even sustainable. What you need to do is break it into small chunks. Pick an element to focus on at a time. For example, tackle the “when” of meals first before you change the foods you offer. Or write out new words to use at mealtimes instead of bribery / reward / threat language. Go for words that are less pressurized. 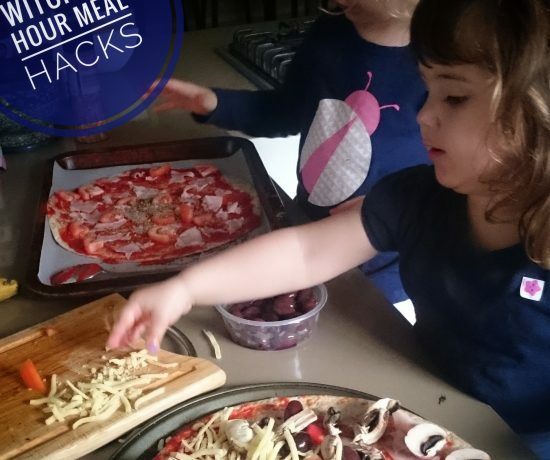 Or you can start by sitting with your child at their meal and snack times with a small taste of some of their foods and a cuppa, if you can’t eat your usual meals together due to timing. Remember that this will take time to master and become routine. But the more baby steps you take, the more effective it will be in the long-term. If you are waiting for that perfect time to start, that time may not ever arrive. 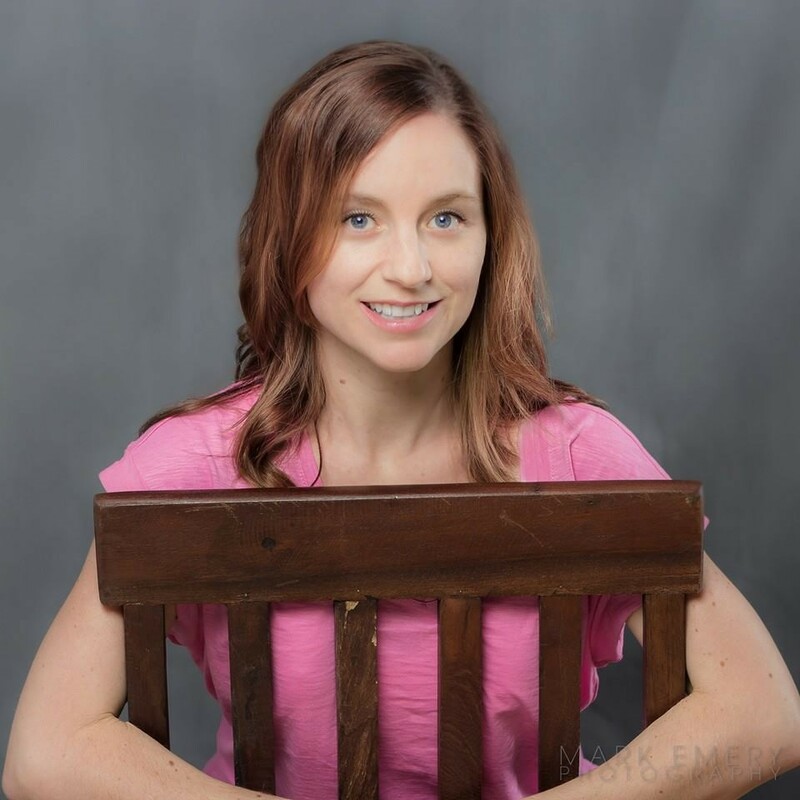 Children need to be secure in their seated position. Feet planted. Core support. Table at a height between their breast and navel. This sets them up for success. This post on stopping run-aways, tantrums and wiggles (without a screen) covers this in more detail. Equip yourself with the right language tools! This is a game changer across the spectrum of parenting. Yelling doesn’t work. Bribing doesn’t work. Excessive praise for possible “one-off” achievements can make them anxious that they won’t perform “for you” that way again. So much of what we do, feel and say impacts them. Consistency with language is so important. Do your kids happily come to the table? Are they ready to learn? Or are they anxious and ill-prepared? This blog post goes into why having a pre-meal routine is so important for picky eaters. AND two of the freebies in my email sign-up are a set of YOGA cards for kids to do before meals and some routine cards to help them learn the process of how the meal will flow. Perfect for kids that get anxious about transitions (and also for parents that are sick of saying the same things over and over). The easiest way to see the progress is to get yourself organised around food. I love so many different ways of meal planning and organising BUT I am a firm believer in you finding an organisation system that works for you. 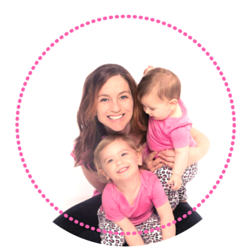 I wrote this blog post on how my DOR meals have changed over the years with the girls growing up (from one child to two, newborn phases, witching hour, new jobs, going to school) each iteration needs careful consideration about HOW you want to be organised around food. Do you want to go to farmer’s markets? Do you use a delivery service? Do you have a take away night? Do you change up your “where” at different times of the week? Definitely NOT the last on the list due to being least important. It is a very prevalent reason for why family meals don’t make much progress with offering family style meals and children always choose the easy to chew or process options (like crackers, bread, pasta, chicken nuggets, hot chips). Instead, I put it last so it resonates the longest with you. 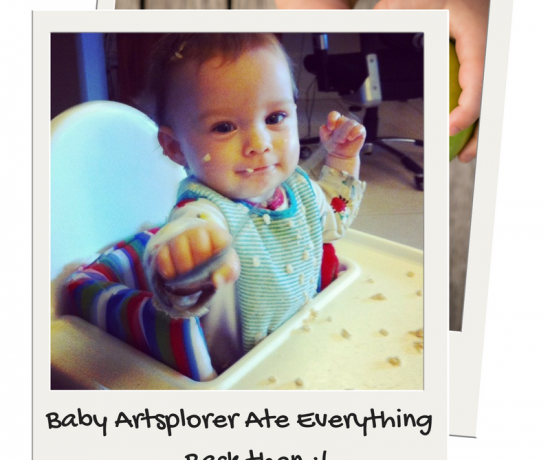 Libby shared this achingly common account of her son’s reluctance to eat on the blog last year. Despite all efforts to offer, offer and offer nutritious food, her son wasn’t picking up new foods. Imagine this scenario, you would like your child to learn to swim. You start off by providing the transport to the pool, the swimming attire and all the “utensils” (googles, swim cap, towel). You show them the pool and ….. you expect them to swim! Ummm….. no it doesn’t work that way does it? They need to have the SKILLS to be able to swim. 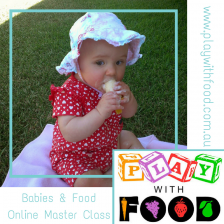 In eating, as they wean onto solids and begin their journey towards family foods, they are picking up skills left right and centre. But maybe something has caused an issue. Maybe something has caused them to stop practicing. 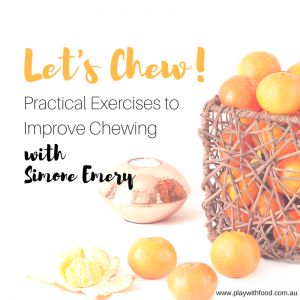 Maybe something along the lines means that their oral motor skills aren’t quite mature enough or have been under-utilised for too long by staying on easy foods. Some kids then also have sensory issues with some foods. Some kids also have anxiety issues with some foods. Some kids may need chewing “coaching” to help build up those skills again. In these instances, it is important to know if kids need additional help from a speech pathologist with special interest in feeding. 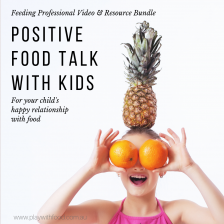 If you aren’t sure or want to compliment feeding therapy for your child – I’ve devised some at home oral motor skill strengthening VIDEOS and a parent guide all about how to help kids chew. It’s called Let’s Chew. 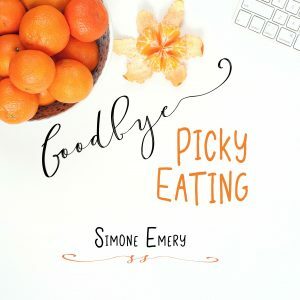 This course perfectly compliments “Goodbye Picky Eating with Simone Emery” that dives into implementing family meals, food language skills, screen usage around food, lunchboxes, shopping for healthy food and meal planning.